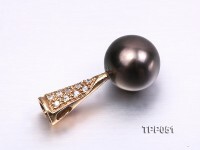 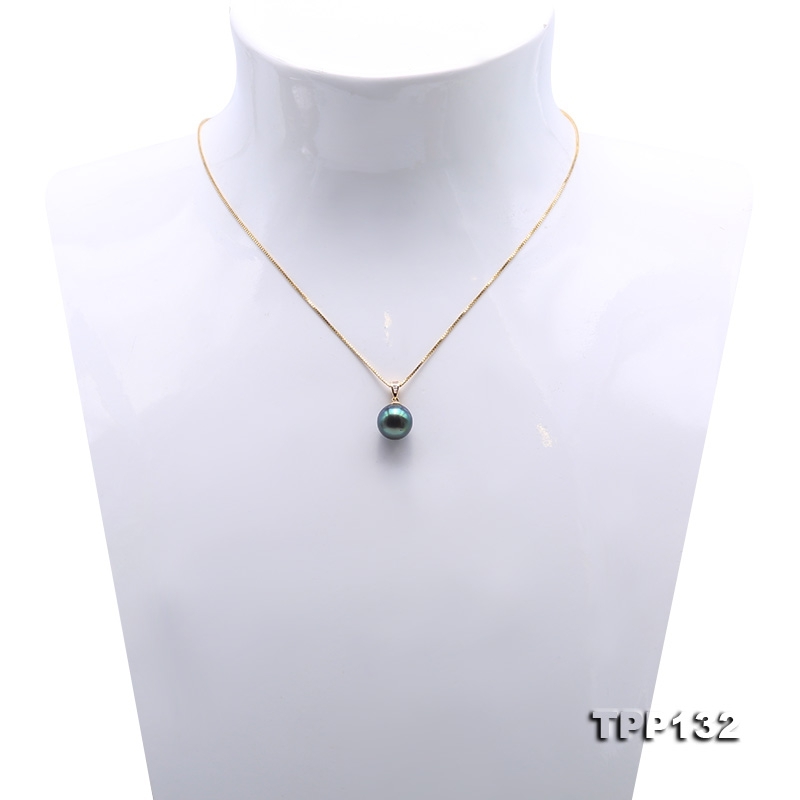 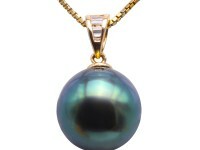 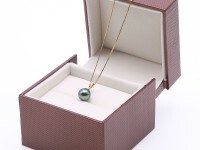 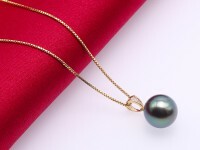 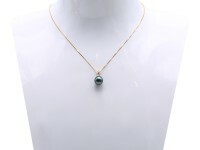 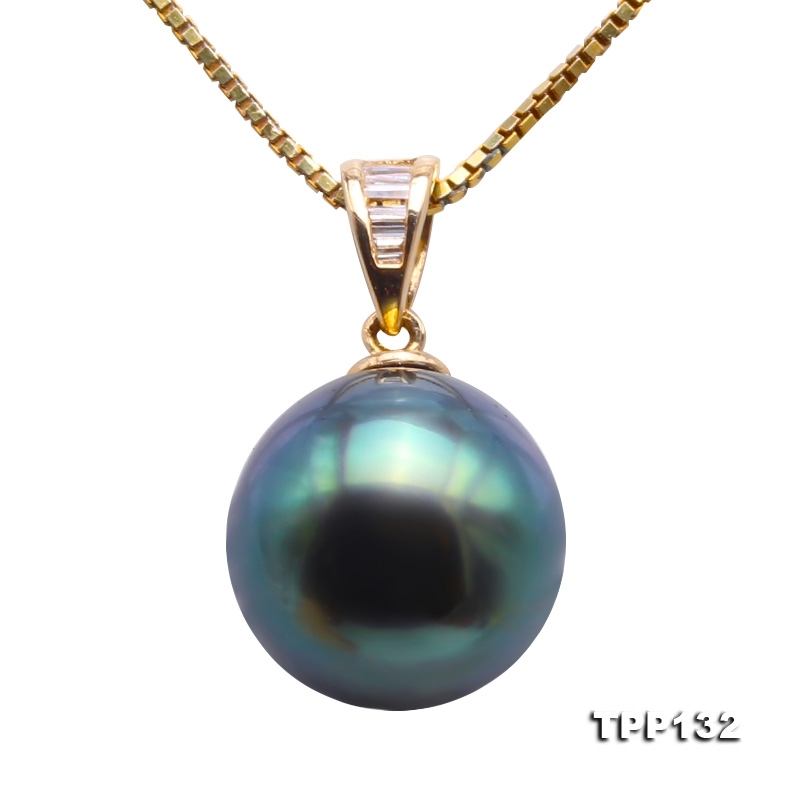 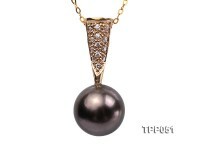 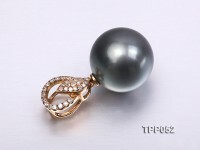 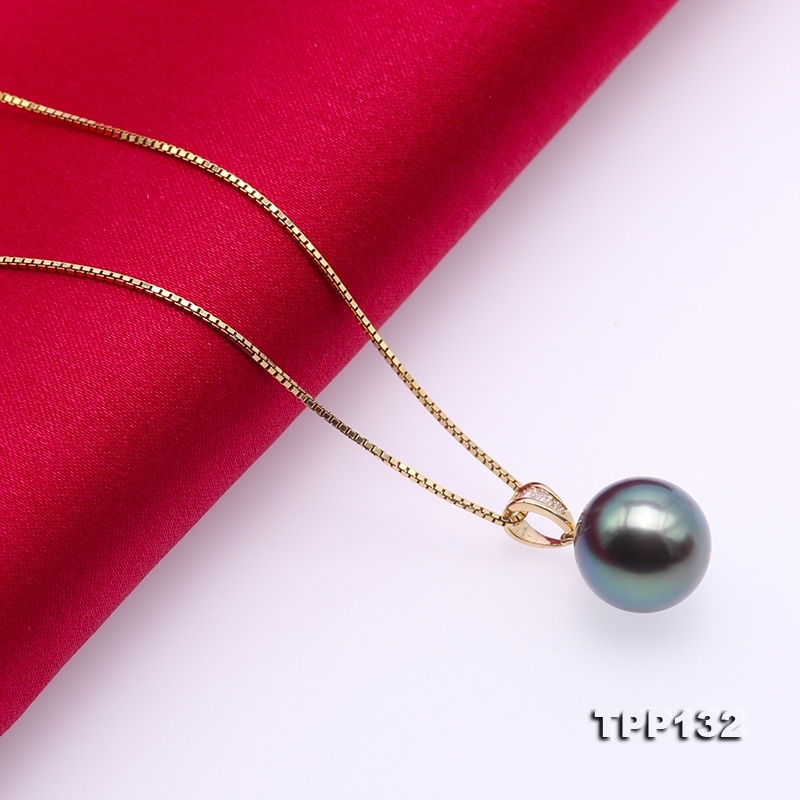 Natural 9.5mm black Tahitian pearl pendant with 14k gold setting. 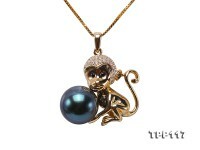 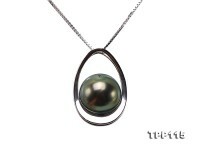 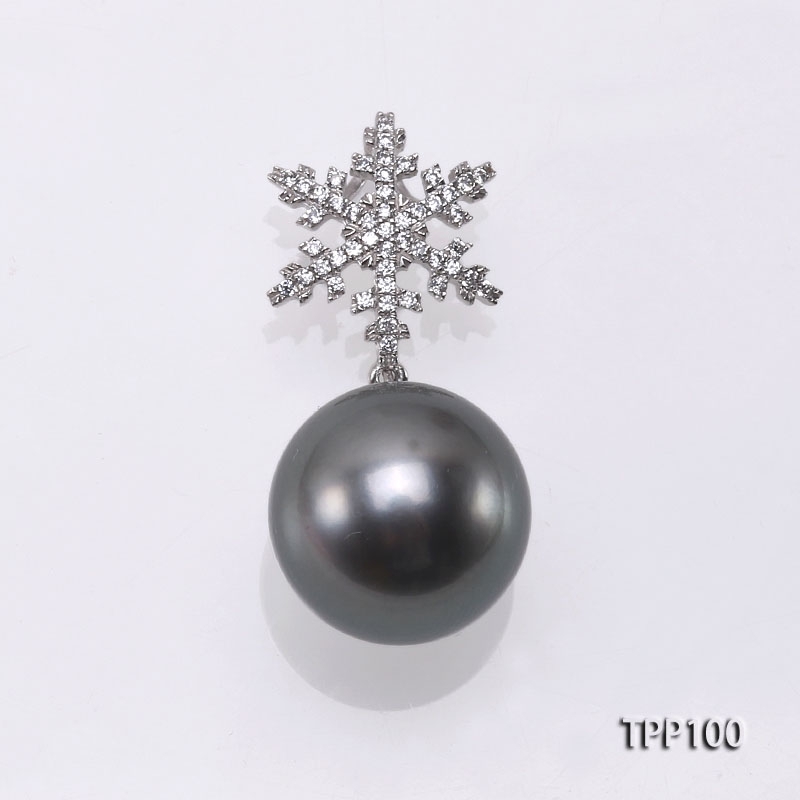 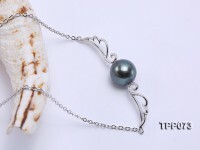 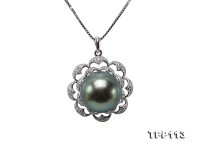 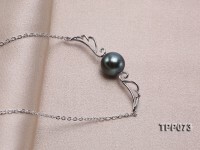 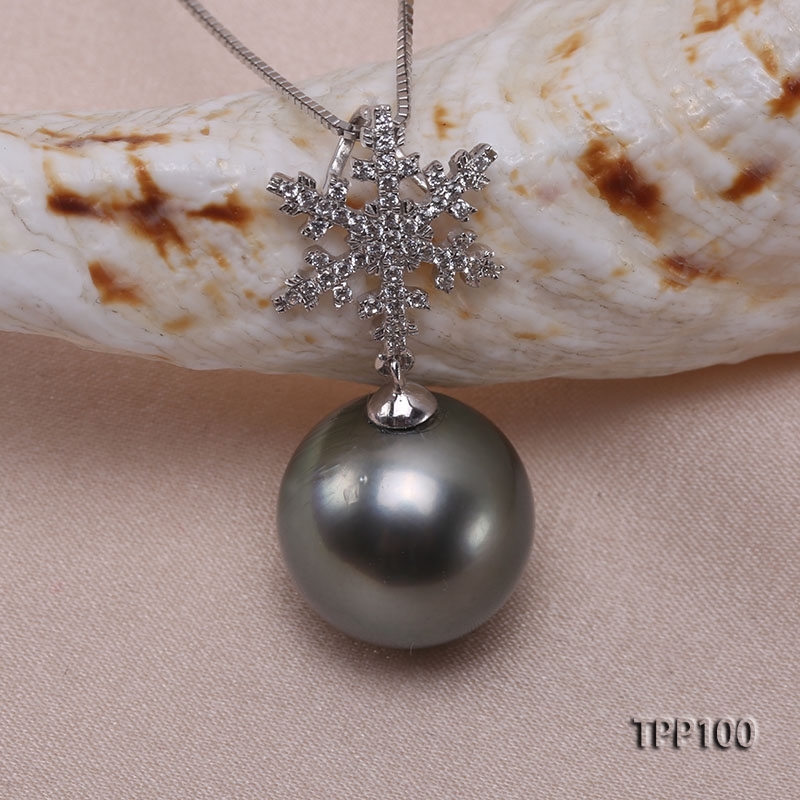 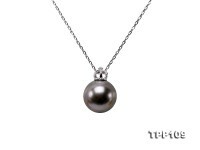 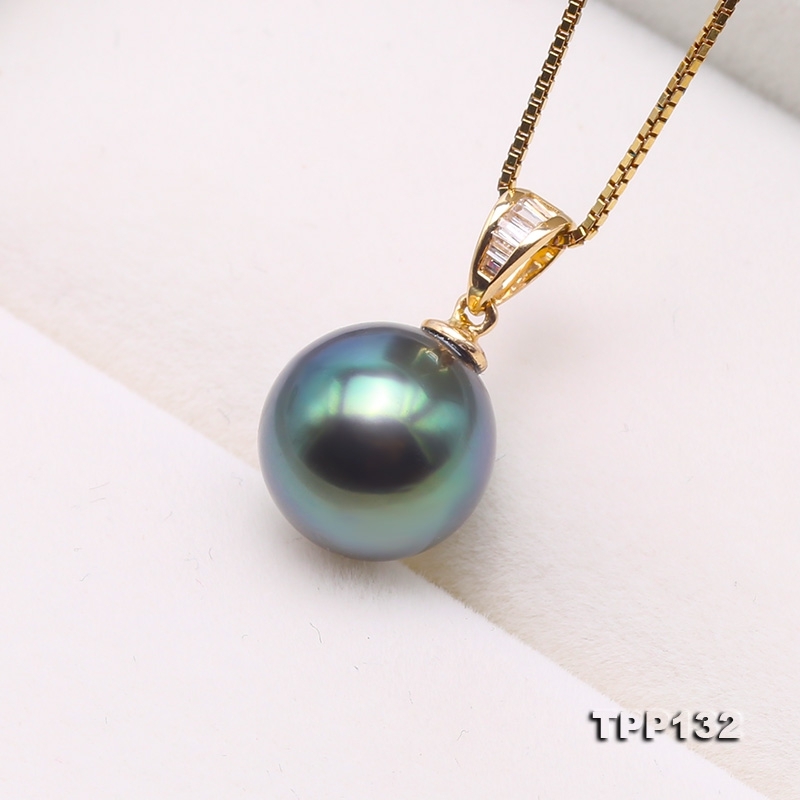 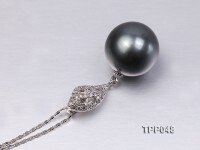 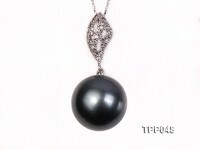 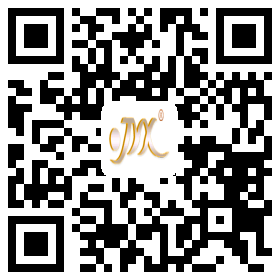 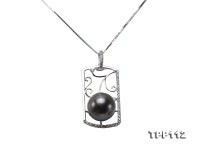 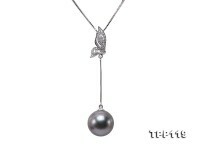 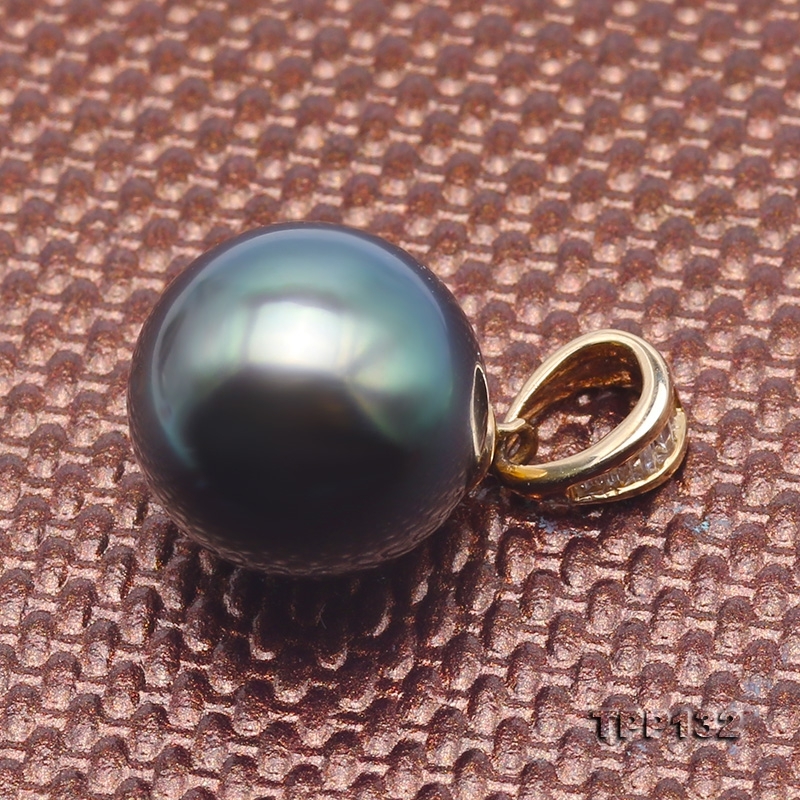 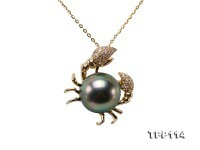 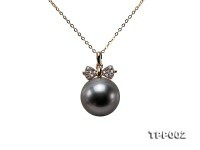 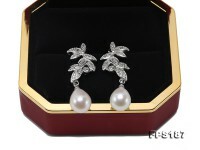 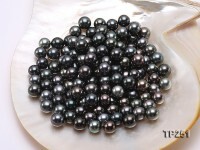 This pendant is made of high-grade peacock Tahitian pearl with perfect skin. 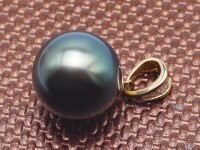 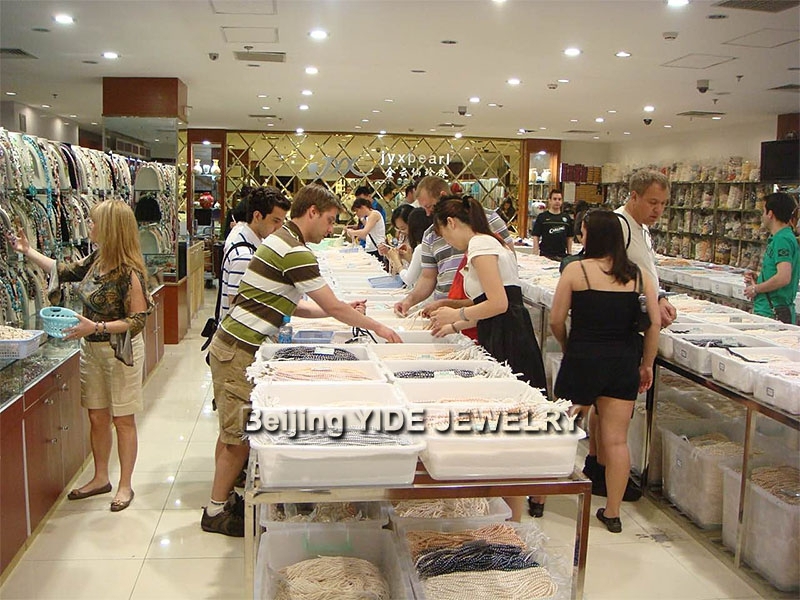 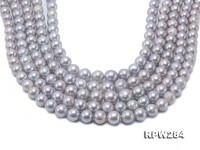 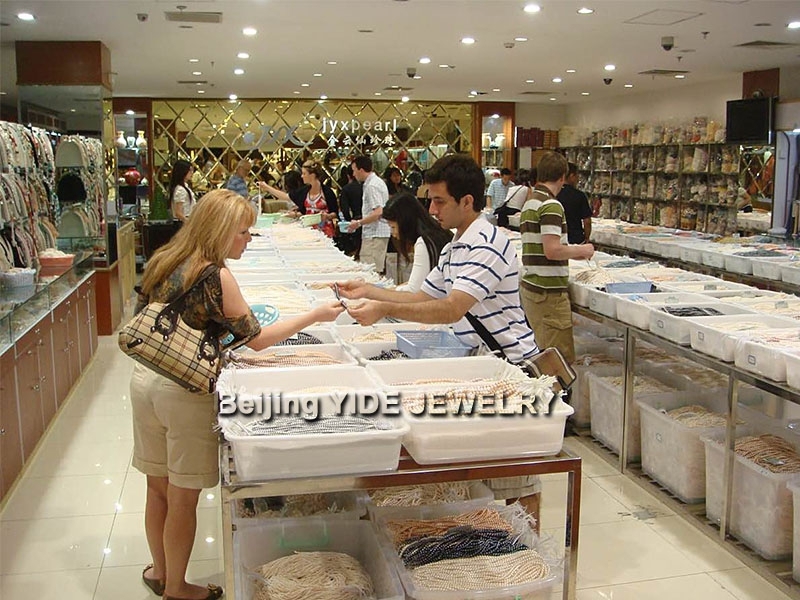 The pearl is rare because it takes shape for at least 5 years. 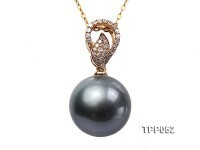 Its naturally-endowed peacock color is sparkled with gorgeous overtone and eye-catching metallic luster which will change as the pearl is rotated. 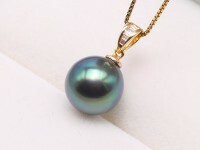 Its unique color and disposition naturally set people in boundless imagination, making itself mysterious, appealing and romantic.